Mayor Bill de Blasio has invested a lot of his political capital in solving the worst homeless and affordable-housing crisis in the nation, triggered in part by low-income workers’ stagnant wages and rising rents, combined with high demand for affordable housing that is in short supply. Upon taking office, he tasked a former Goldman Sachs banker, Deputy Mayor Alicia Glen, to apply her aggressive Wall Street deal-making prowess to create new mixed-income affordable housing to relieve this crisis. Last year alone, the highest number of housing units in city history — 24,500 — was created or renovated. Still, it’s not enough. A total of 129,803 men, women and children spent the night in New York City homeless shelters last year, according to the Coalition for the Homeless. This includes 45,000 children. 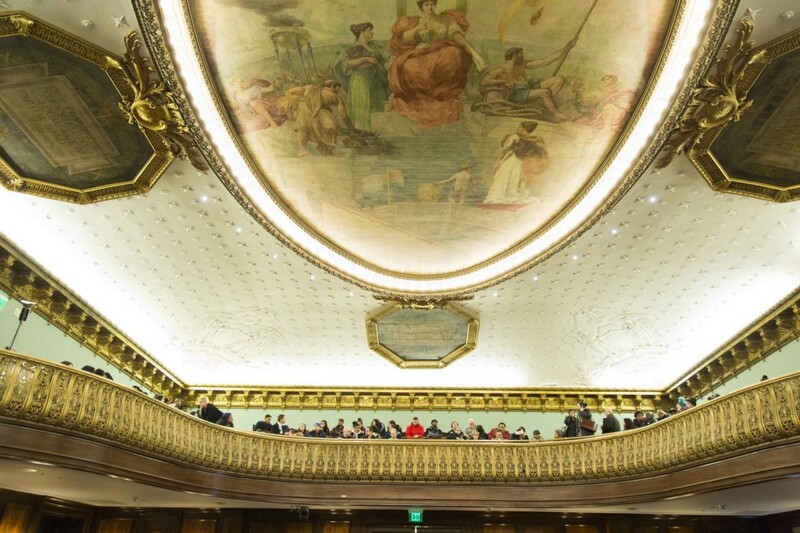 It seems that not everyone in City Hall’s rowboat is pulling on the oars. While Glen has been cataloging every available empty lot or derelict building where affordable housing could potentially be built, a separate city agency overseeing 2,500 underutilized public acres has managed to stay under the radar. That would be the New York City Department of Parks and Recreation, part of whose sprawling portfolio includes 12 golf courses. The current utilization of these courses can easily be measured in greens fees that golfers pay to play. Golfers pay between $7 and $52 each time they use city links. 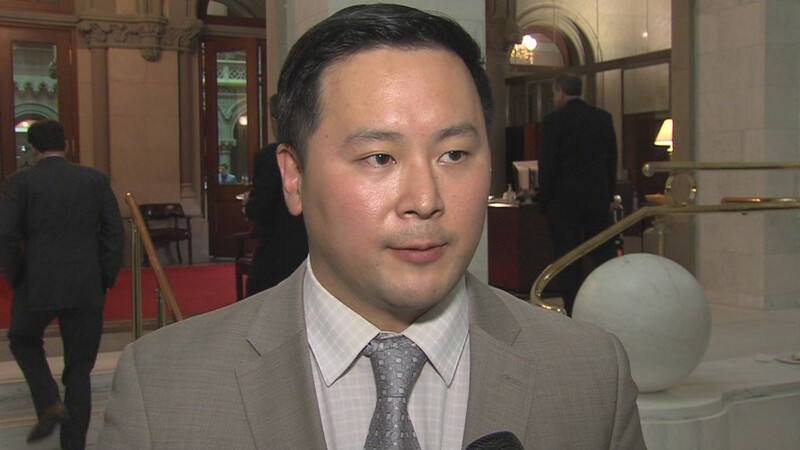 But greens fees have dropped by an average of 17 percent at more than half of the city’s golf courses since 2008, according to revenue reports provided to the Queens Tribune by the Parks Department under the state Freedom of Information Law. La Tourette Golf Course on Staten Island has had the deepest decline in usage over the past decade, with a 33-percent drop in greens fees. In Queens, greens-fees revenues dropped by 17 percent at Clearview, 11 percent at Douglaston and 9 percent at Forest Park. 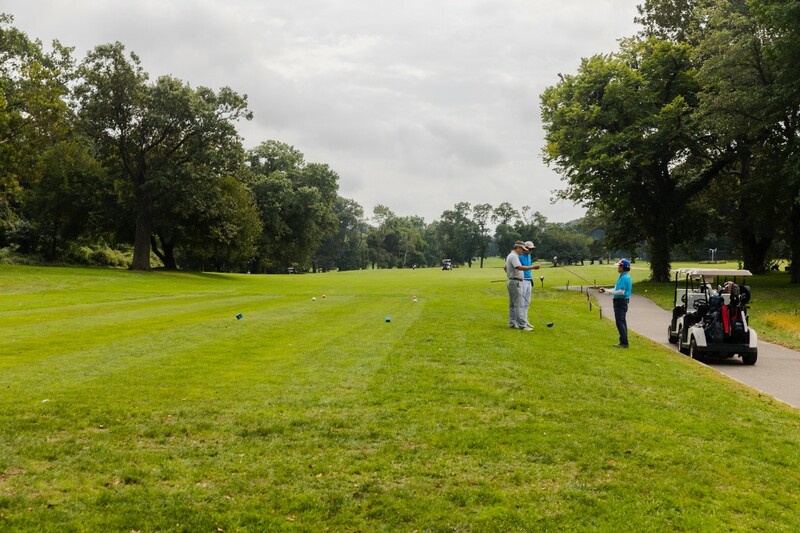 Only two of the city’s golf courses saw an increase in greens fees during the last 10 years: Silver Lake on Staten Island (a 94-percent rise) and Marine Park in Brooklyn (21 percent). Greens fees at Kissena in Queens and Van Cortlandt in the Bronx were flat during this period. Records for Mosholu were unavailable. This steady decline in greens fees at seven out of 12 courses shows that fewer and fewer people are playing golf at the city’s courses. It’s a sign that golf is dying, at least for the working-class people who frequented these courses in the past. This conforms to the national picture. According to sports magazines, golf-ball and equipment manufacturers, and industry analysts, golf is all but dead. The only people who don’t seem to accept this reality are the city employees who are supposed to be the experts: the leadership at the New York City Department of Parks and Recreation. So while golf courses across the country are being sold at bargain rates to developers or turned into multi-use parks, the Parks Department has failed to begin the process of reimagining how these 2,500 acres of golf courses could better serve New Yorkers’ recreational needs — or mitigate the homeless and housing crisis. Instead, the department pushes against the tide, trying to develop a new generation of urban golfers. Golf is dying for a multitude of reasons, according to the experts. It’s just not much of a workout. The equipment required to play is expensive. Golf courses are bad for the environment. And let’s face it: For most of its history, golf has been the sport of rich white men. The Augusta Golf Club in Georgia, the most famous in the nation, didn’t accept blacks as members until 2000, or women until 2012. There was a spike in golfing in the United States when Tiger Woods was a star — until his reputation took a dive. Now the most famous golfer in the United States is President Donald J. Trump. No one expects his love of the game to create a new wave of golf enthusiasts in New York City. Nearly half the city’s golf courses are in Queens. The four golf courses in Queens cover 960 acres. Forest Park is the largest, at 508 acres. Kissena Park has 237 acres. Clearview has 111 acres, and Douglaston Manor has 104 acres. Staten Island and Brooklyn both have one-fifth of the city’s golf courses. The three courses on Staten Island cover 504 acres. The three Brooklyn courses comprise 427 acres. The Bronx has the smallest amount of acreage dedicated to golf courses. Its four golf courses add up to 375 acres. The largest golf course in the city is Forest Park in Queens, with 504 acres. The smallest is also the newest: the Trump Golf Links at Ferry Point in the Bronx, with 20 acres. The Trust for Public Land has already acquired golf courses to turn into parks in Marin County and Rancho Canada in California; Windsor in Connecticut; Golden, Colorado; and Portland, Oregon. But some of the best examples of reimagined open spaces are right here in the city. The High Line was an unused railroad track running along Manhattan’s West Side. Now it’s one of the most popular parks in the city. 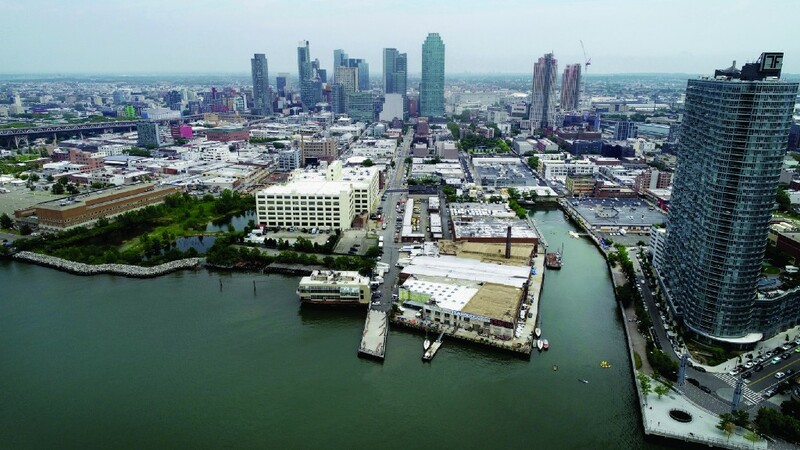 Brooklyn Bridge Park was where the Port Authority warehouses long squatted below Brooklyn Heights. Now they are considered among the most transformational parks in the nation, as well as the most popular; on weekends they are packed both with city residents and tourists. Queens would be somewhere between the fifth- and sixth-largest city in the United States, with a population of 2.4 million and growing. Queens residents also need places to play, to stretch and just to breathe. Yet hundreds of acres of our parkland remain dedicated to a sport that fewer and fewer people are playing. The Parks Department says these courses generate $8 million in revenue for the city’s general fund. But they’re not just counting greens fees, which measure a golf course’s utilization. They’re including catering, merchandise and golf-cart rentals. But they’re not the Department of “Parks, Recreation and Catering.” When an agency puts something as off-mission as catering before New Yorkers’ critical needs, that’s a serious problem — especially when the city is caught in the grip of this homeless and housing crisis. In New York State, parkland is sacrosanct, as well it should be. We’re opening up a Pandora’s box here. Parkland should be protected. But at the same time, our leaders are in the weeds trying to relieve this humanitarian crisis. They must consider any and all options before an entire generation of children grows up in shelters. Minimally, most of these 2,500 acres could be enjoyed by millions more people. 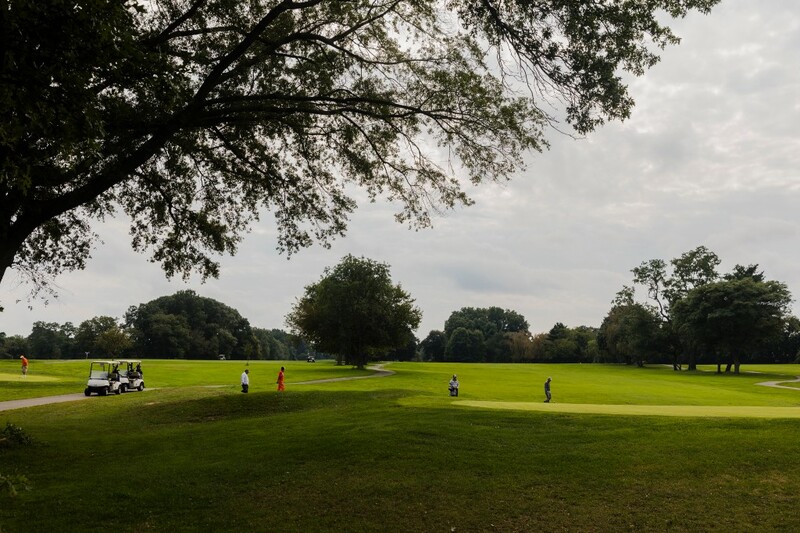 There’s no reason why Kissena Golf Course, the Kissena Corridor and Douglaston Golf Course couldn’t be transformed into a Central Park-like haven for the city’s second–most-crowded borough. The transformation of these golf courses would also significantly reduce the city’s carbon footprints. Golf courses are simply not good for the environment. If anyone has the capacity to figure this out, it’s Deputy Mayor Glen. If she can craft a deal with the state legislature, then some of these little-used links could be repurposed for desperately needed mixed-income and affordable housing. She could conceivably help kick-start initial planning efforts by the Parks Department with fees from developers. Just 10 percent of the Parks Department’s 2,500 acres in golf courses could provide thousands of housing units, and keep a lot of children and families out of homeless shelters for the rest of their lives. The city’s concession agreements with the businesses running some of these golf courses come up for renewal in 2024. It’s not too early for the Parks Department to start thinking seriously about what should come next. I’m sure that Parks Commissioner Mitchell Silver — who is relatively new to the city but has made his career applying the concept of equity to parks and recreation — will grab the opportunity to be the new Robert Moses with two hands. 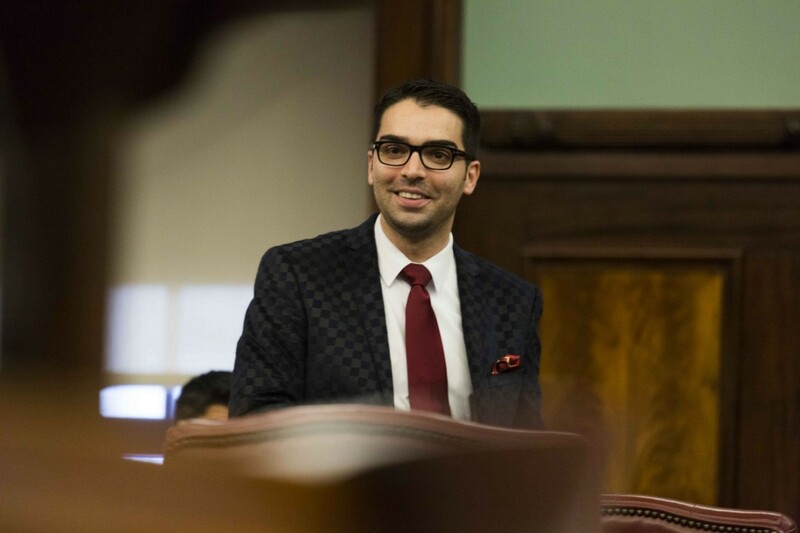 Eddie Borges is a veteran journalist and frequent contributor to the Queens Tribune. Next week, in a second part of this story, Borges will explore ideas for reimagining the city’s golf courses, speaking to experts in city planning and development. Where Is The BOE Shakeup?